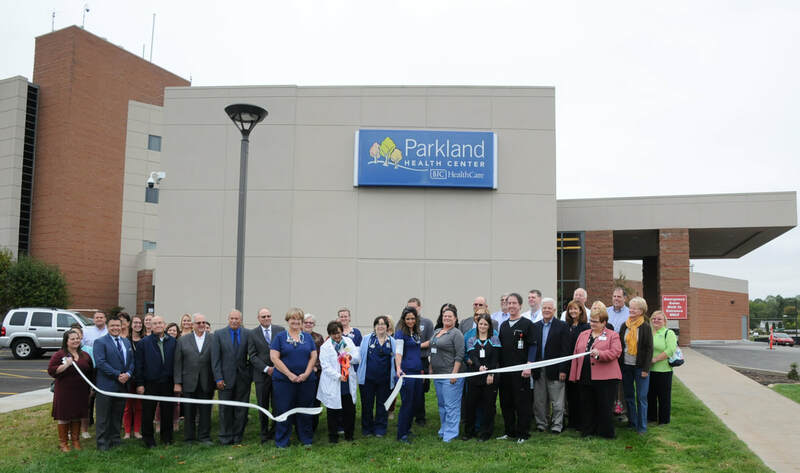 October 12 — A nice crowd of hospital officials, civic leaders, and friends turned out early this morning for the ribbon cutting ceremony at the enlarged and updated Parkland Health Center’s Emergency Department. This expansion, began May 5, 2016, added 6,300 square feet to the existing emergency department. Among the improvements was an enclosed walkway connecting the main hospital entrance to the emergency department’s waiting area. 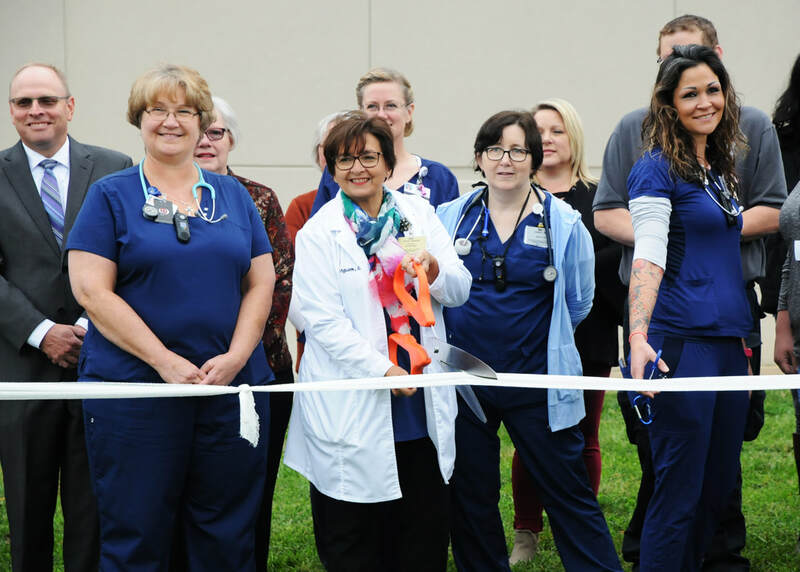 At the same time, the original 2,950 square feet of the existing emergency department was updated to fully blend in with the newly added facility. The new construction added emergency facilities which had previously been expanded in 2008. The volume of patients at both Parkland-Farmington and Bonne Terre has steadily increased in recent years. Last year’s volume at the Parkland Health Center totaled 46,654 emergency department visits. The volume of visits has continued to climb this year. One staff member told the Post(note)-Dispatch that Parkland registered 15 emergency vehicle visits during just a single one hour period last week. Visitors familiar with the emergency facility should quickly notice the increased number of exam rooms (now totaling 27) compared to the earlier facility. The waiting room has been greatly expanded and given a far more comfortable setting with lots of window space, cheerful artwork, and comfortable seating. Also added are three new trauma rooms, two redesigned nurses’ stations, and a new “results-pending” area.